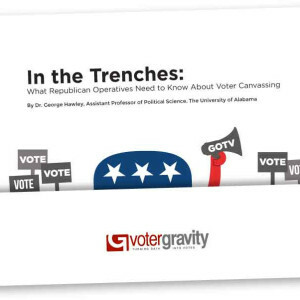 In our continuing mission to provide clients with relevant, up-to-date information concerning political campaigns, Voter Gravity is pleased to release a new resource page which will continue to help us, help you. The first content we have made available are four white papers by Dr. George Hawley, assistant professor of political science at the University of Alabama. Furthermore, we have made these resources available FOR FREE! There’s no doubt that direct mail plays a large role in politics. The question is, how effective is direct mail in campaigns? Dr. George Hawley dispels the myths and dives into the latest research on the true impact of campaign direct mail. There’s no doubt that social media has changed politics. The question is, to what extent? Dr. George Hawley dispels the myths and dives into the latest research on the true impact of social media in politics — including the areas where campaigns can make a real impact. Political strategists today are obsessed about independent voters as the gatekeepers to election victory. But is that really the case? Who are they and what impact do they have on politics today? How can your campaign effectively reach independents? When it comes to actually turning out voters, one of the most effective campaign methods is also the oldest: door-to-door canvassing. For decades, political scientists have analyzed and debated the effectiveness of various campaign tactics, and the utility of canvassing remains one of the few undisputed conclusions reached by major scholars of the subject. Does Direct Mail Still Matter for Your Campaign?